Rhetus periander is usually found singly or in very low numbers, in the vicinity of streams or rivers. It can be also be found along tracks through primary or disturbed rainforest or cloudforest habitats. 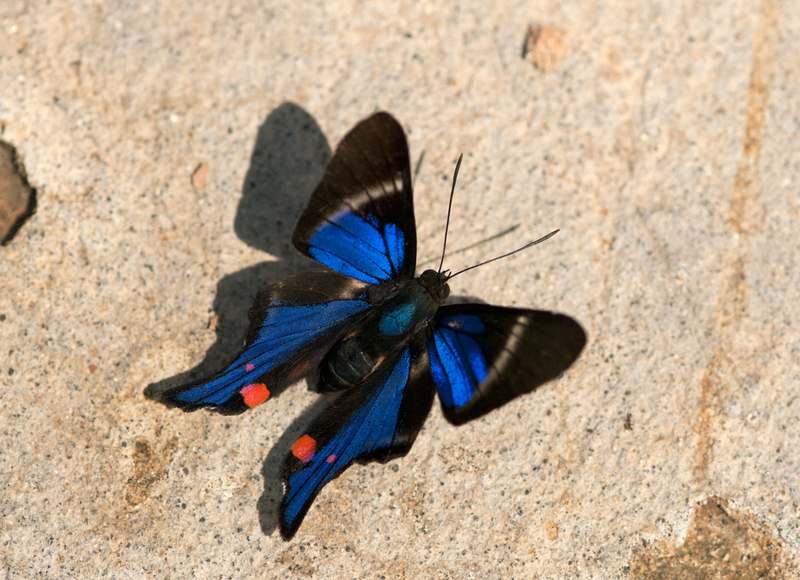 The butterfly occurs at elevations between 0-1800m, and flies throughout the year.